Our late Fall trip to Paris was a leisurely one. Mrs. MM and I had no firm schedule, and staying in a small apartment, we wanted to feel like “residents” of the city, if only for a few days. But what we did do in advance is make several dinner reservations in some of the “harder to get into” restaurants. 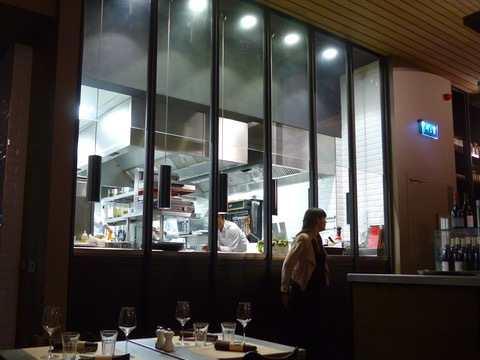 Not starred ones necessarily, but those serving more “modern” Parisian cooking. 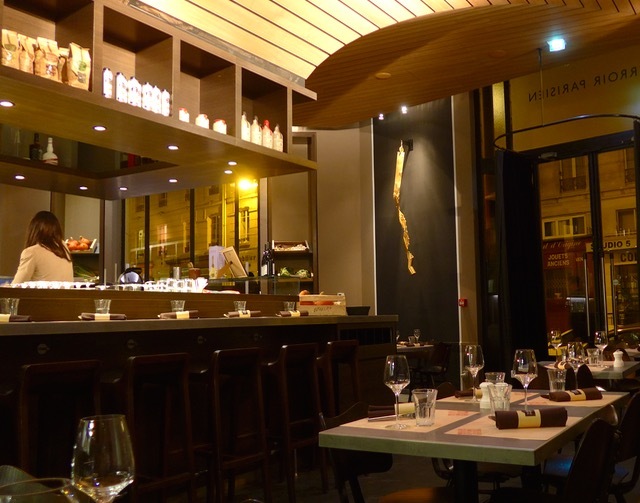 We managed an EARLY booking at Terroir Parisian, which was perfect with our creeping jet lagged state. 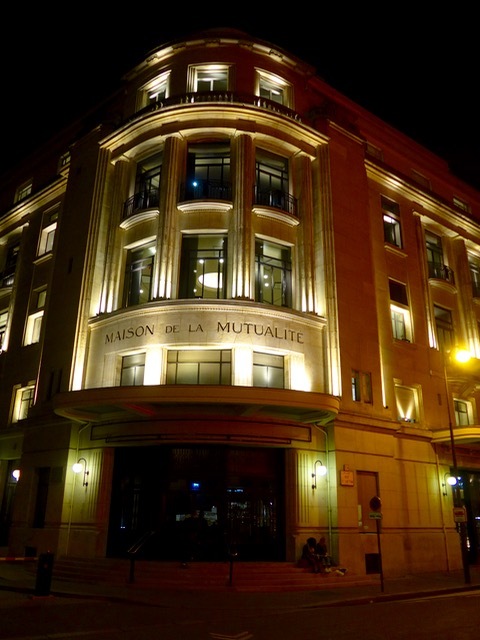 Located on the ground floor of the Maison de la Mutualite (I gather an old Insurance company building), it is one of the restaurants of celebrated (and starred chef) Yannick Alleño. We were amongst the first two tables to be seated in the restaurant that evening. But we were famished. Our first appetizer was some fingers or croquettes of porc cochon with a tartar sauce. This of this as the richest and most unctuous of pork parts (head, cheeks, etc.) enrobed in breading and deep fried. It tasted good, but we were indeed expecting something more. The butternut squash soup with hazelnuts and cream was an absolute home run, redolent with flavor, utterly well-balanced and something we could eat all winter long. Mrs. MM’s scallops with leeks and beetroot was likewise a home run, perfectly seared and still moist in the center, a light foamy sauce over braised leeks and the colorful and flavorful beetroot greens the perfect foil for the shellfish. The flavors all together on your palate were just amazing. Absolutely delicious! And finally, my order of perfectly cooked sea bass, with spinach cream, french fries and freshly shaved mushrooms was an absolute delight. 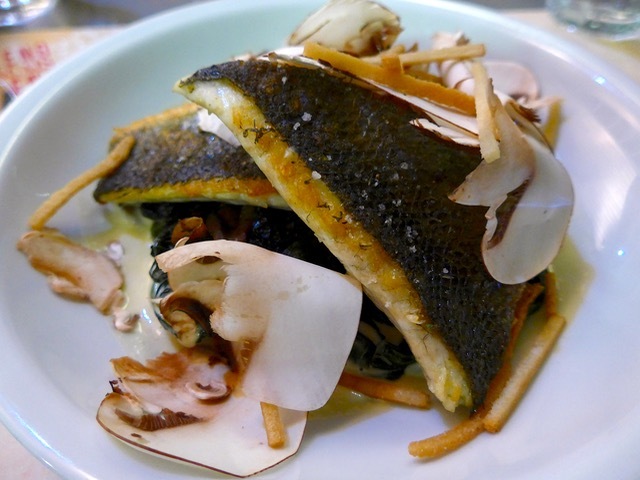 I would never have thought to pair pan-seared fish with raw mushrooms, but this just worked, and worked brilliantly. The food wasn’t fancy, but it had new twists and turns on familiar flavors and classics. 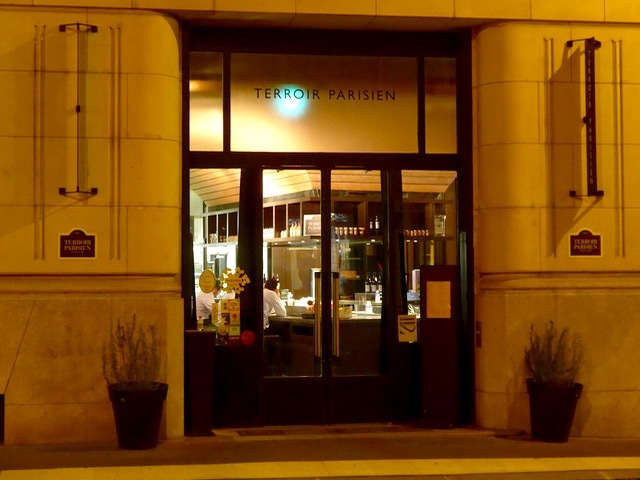 We had a terrific meal, and our apprehensions at the start notwithstanding, we wouldn’t hesitate to visit Terroir Parisien again to try more of Chef Alleño’s creations! 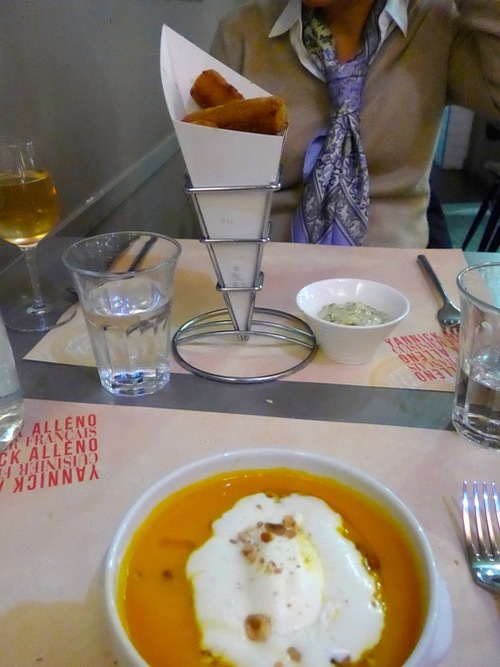 It’s this kind of casual yet modern food that is taking Paris by storm, and I want more of it! P.S. We opted not to have dessert because I was carrying a bag with Angelina’s pistachio financiers and chocolate eclairs which we took home to enjoy with a cup of tea. I have NEVER had mushrooms raw until I met a raw vegan who served a green salad with, among other things, very thinly sliced fresh button mushrooms with a simple vinaigrette. Kass, that’s basically it. As for raw mushrooms, I have had them in salads before, but never paired with seafood. I had to google what terroir means because I first misread it as terror! Ha!ha!ha! A reign of terroir, I’d say. They all look delicious! Not your typical US diner’s menu, huh? Misbehaving kids is one cross you have to bear when eating in restaurant that allow them. Another are concert goers with dry throats who uncontrollably cough at the soft passages. Could not hold it for the fortissimos. 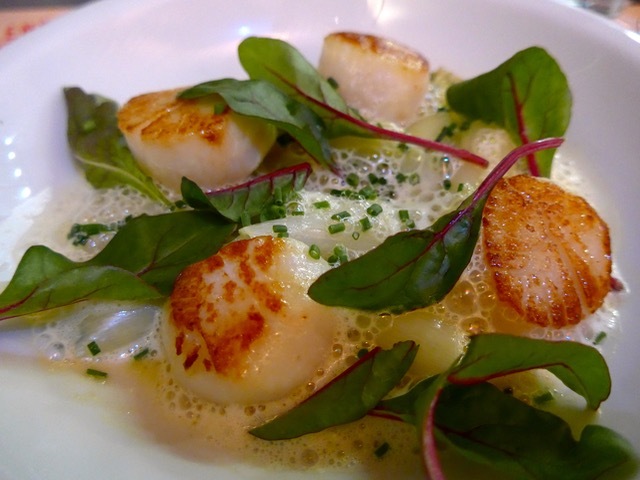 Oh the scallops, the great looking scallops are my husbands favorite seafood — looks so deliz! I just bought 8 big pcs this morning for our lunch tomorrow. and Mrs. MM’s outfit is totally parisian!